MURFREESBORO, Tenn., May 31, 2017—The Discovery Center kicks off Secret Garden Week 2017 on Thursday, June 1. A highlight of the summer social season in Middle Tennessee, the series of events allows participants to get a sneak peek at beautiful gardens hidden in backyards in and around Murfreesboro. Tickets and information are available at www.explorethedc.org/sgp. Thursday, June 1, 10 a.m.
There’s no better time to dust off your gardening gloves! Learn tips and tricks from flower grower Emily George. Catered by Five Senses. Friday, June 2, 6 p.m. Exclusive cocktail hour for Iris and above sponsors. Friday, June 2, 7 p.m.
Includes silent auction, open bar, and catering by Five Senses. Must be 21 or older to attend. Saturday, June 3, 10 a.m. – 4 p.m.
Sunday, June 4, 1 – 4 p.m. Location: Multiple locations throughout Murfreesboro, more info at www.explorethedc.org/sgp/. Copies of tour map will be available at the Discovery Center front desk. The Secret Garden Tour is your opportunity to stroll through intimate gardens tucked-away at local homes and find inspiration that you can incorporate into your own garden. 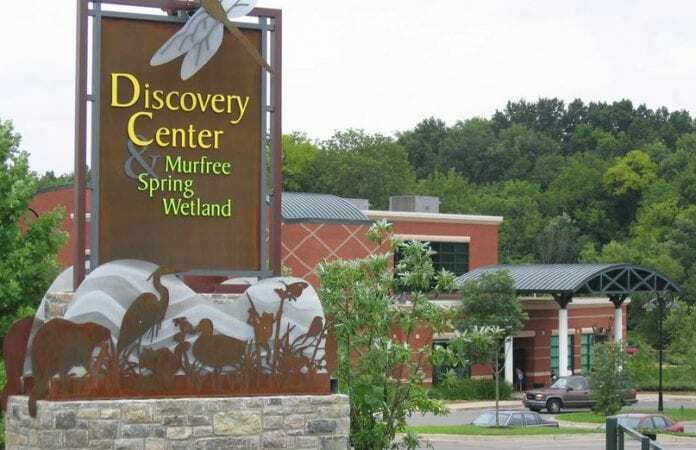 “Thirty years of the Discovery Center is truly something to celebrate,” said committee co-chair Ann Elizabeth Rucker. “My husband, Rich, still remembers opening day, and to be able to co-chair the event this year is an honor for us. “We have two young children, Will and Frannie, and to have the Discovery Center in our community is something we have benefited from over the years as have many other families in Middle Tennessee. This year’s event will be one that celebrates our past and looks forward to another 30 years of impact within Murfreesboro,” Rucker added. This year’s Secret Garden Party will honor Billie and Joe Little of Murfreesboro. The Littles were the catalysts for the creation of the Discovery Center in the mid-1980s. Joe, a practicing pediatrician, and Billie, an educator, led an eager group of young parents to discuss a hands-on art and science museum in Murfreesboro. Mrs. Little’s energy and insight kept the project moving forward, and she spent the next 25 years dedicated to the Discovery Center as Executive Director and CEO. Committee co-chair Gina DeJean was happy to be involved in supporting the Discovery Center’s mission. “I was raised being a member of the Discovery House and have seen it evolve in every way through the decades. Many of my childhood memories happened there, and now my children are creating memories of their own,” she said. Big Green Egg grill, donated by Parkerson Santel Law Firm and Children’s Dentistry of Murfreesboro, set into a custom grill table built and donated by Hedgewood Builders. Golf package complete with a golf cart discount from Mikey’s Motors, golf bag and driver donated by Hilliard Lyons, golf and lunch for four at Stones River Country Club, and merchandise and lessons from Jeremy Head Golf Academy. Fish fry for 30 in the auction winner’s home with food from Five Senses and styling from Daffodilly Designs, complete with a home cleaning to get your house ready for the party. Trip to Chicago with airfare, a boutique hotel stay, Museum and Aquarium tickets, and restaurant vouchers. Kendra Scott jewelry including Elle, Harlowe, Elton, and Uno de 50 from Penny’s Closet. 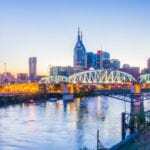 Night out in Nashville with dinner at M Street restaurants, a Skyline suite at Kimpton Aerston hotel, and brunch at the Sutler Saloon. In addition to the co-chairs, the Secret Garden Party committee members are Marida Balch, Kelly Barger, Christa Brown, Sara Beth Clark, Jenny Grubb, Natalie Hillis, Leslie Kekelis, Katie Lane, Katherine Layman, Laurel Parkerson, Stephanie Roach, Kristin Salter and Anna Stewart. Presenting Sponsors for Secret Garden Week are Nissan and the Adams Family Foundation. Orchid Sponsors are Cindy and Fred Adams, Dr. Susan Andrews and Dr. Randall Rickard, Saint Thomas Rutherford Hospital, Smile Doctors Braces by Togrye Orthodontics, and TriStar StoneCrest Medical Center. All proceeds from Secret Garden Week benefit the Discovery Center, an educational staple in Rutherford County and surrounding communities for every parent and child who desire hands-on education.